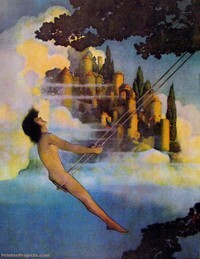 Maxfield Parrish Prints - Choose an item below to view and print your Maxfield Parrish poster. Pictures fill one entire sheet on paper in either portrait or landscape orientation. Requires the Adobe Acrobat Reader, which is available as a free download here.